The holidays are upon us and I felt it fitting to recreate a traditional beverage that can be enjoyed by the entire family. 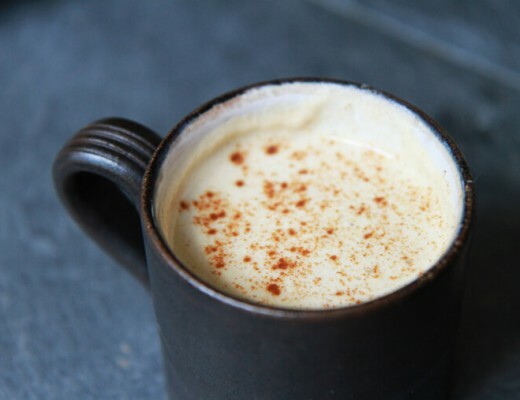 I’ve spent the last few days perfecting a recipe for vegan eggnog that is quick, easy to make, delicious and authentic. I think I got it. I even got the seal of approval from the resident recipe tester (my boyfriend). It’s incredibly rich, decadent, and will be sure to impress at any holiday parties. 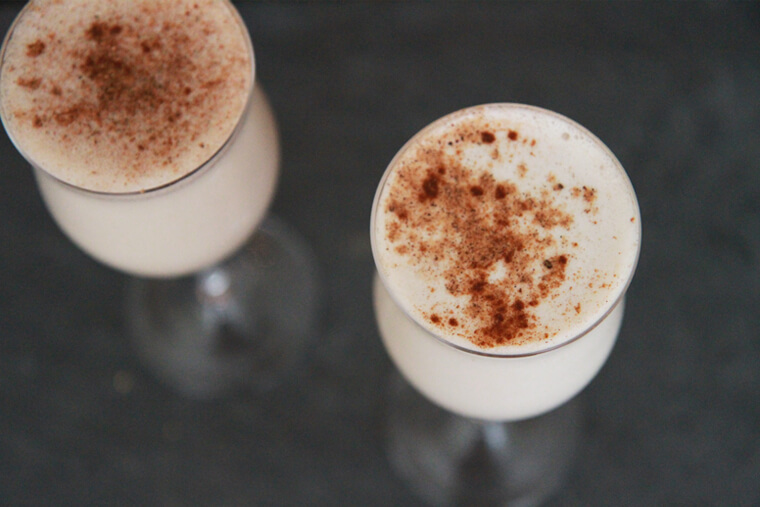 Unlike other eggnogs, it’s not too sweet and has a nice delicate nutmeg flavor. It’s up to you whether you “spike” it or not. Add almonds and water in to a blender for 2-3 minutes. Rinse out blender and pour almond milk back in. Blend the rest of the ingredients with the milk until smooth and delicious. Place in the fridge until cold and serve. Wow, I am definitely making this! I love how simple the recipe is and that it involves all real ingredients (which is usually my struggle with most holiday recipes)! Can’t wait to give this a try, thank you! This would make the perfect weekend project, Sonnet! I know I’ll be making a larger batch next time for the family to sample :) I know you’ll love it! Let me know how you get on! oh my gosh! We are super excited to make this. got some almond nog at the store and it’s amazing but this, I’m sure, will be twice as good. Can’t wait to try!!! I hope you and the family enjoy it Sami! 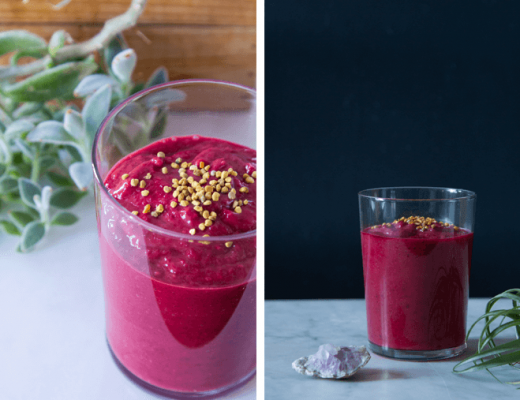 Homemade just can’t be beat – especially when all the ingredients are natural and healthful. I know this was posted a while ago but I just found it. Sounds delicious! How much almond milk does this make? 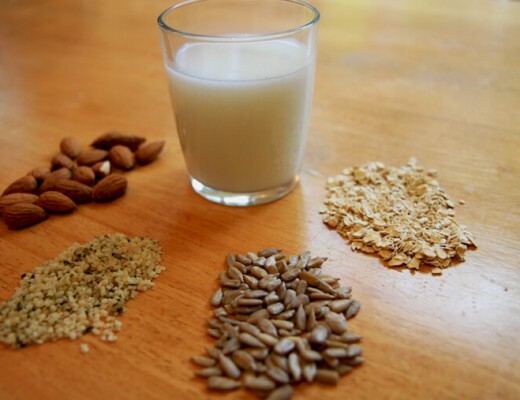 I want to use store bought almond milk rather than make it myself. Thanks. And Katie- Thanks for experimenting and posting this! 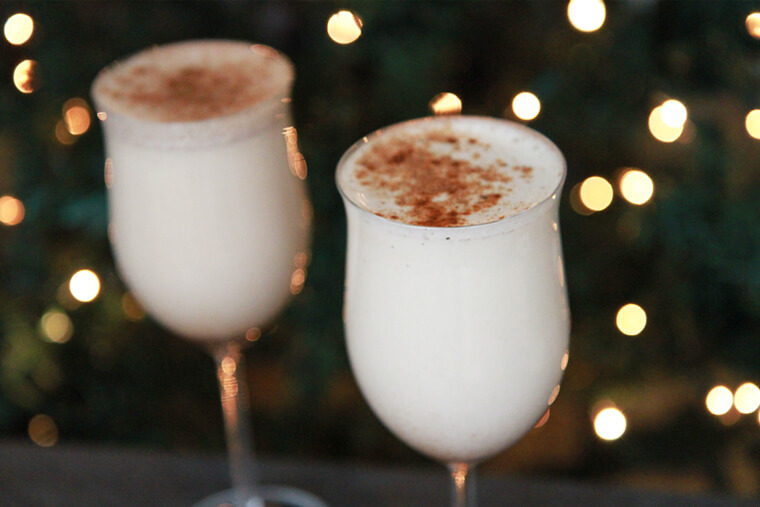 Has been a while since I made my own vegan egg nog and I needed a refresher! Happy holidays! Hi! I tried your recipe, and it was tasty! I translated it in french for my blog. I mentionned your blog, of course.